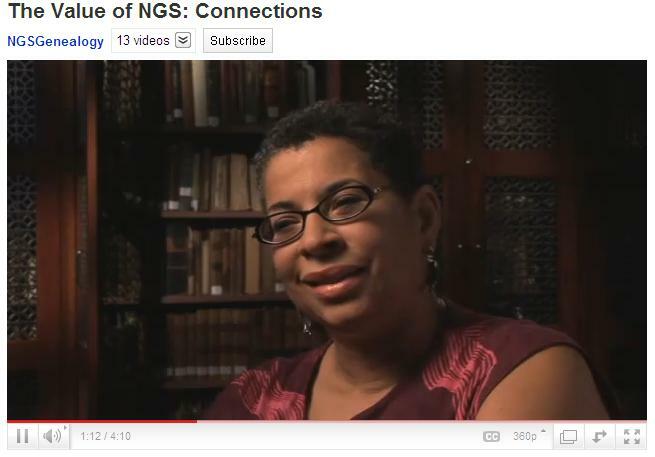 UpFront with NGS: Check out the latest NGS video at YouTube! NGS is all about connections, says Leslie Anderson, reference librarian in Alexandria Library's Special Collections. She joined NGS to get to know the experts, meet other genealogists with different points of view, and learn about standards and resources for studying her family history. The annual NGS Family History Conference, she says, is where people and resources come together. Film by Kate Geis and Allen Moore. Do check out this YouTube video.